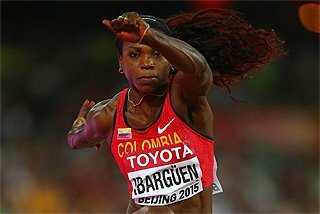 The IAAF, which historically has been at the forefront of the fight against doping in world sport, held a medical and anti-doping conference call with the international media on Monday (16) to help offer a better understanding of the IAAF’s leading work in this complex, specialist and often confusing field. Questions were addressed to IAAF anti-doping manager Thomas Capdevielle and IAAF medical manager Dr Pierre-Yves Garnier, the two most senior members of the IAAF medical and anti-doping department with decades of specialist knowledge and experience to offer between them. Other recent IAAF initiatives have included being the first international sports federation to the launch an anti-doping app and our release of a general anti-doping Q&A video. Below is a summary of the subjects discussed on the conference call. Is there a point at which the Russian Athletics Federation could be suspended? At present there are allegations from the TV documentary and we’re studying them carefully, but we can’t jump to conclusions. Our job is to protect clean athletes and this is not the right time to tackle banning a federation. If there are any problems with athletes, coaches or administrators in the federation, then our job is to root them out. We are working in coordination with WADA and our ethics committee. We have a duty to pursue and investigate individual cases and to report to the IAAF Council for follow-up at the institutional level. Will there be more instances of banning coaches? Doping is rarely an isolated case. Very often, there are one or two coaches behind it as part of a doping ring, either big or small. In the new WADA code, there is now an obligation to investigate coaches who have more than two athletes involved in a doping offence. As an example, there were between 45 and 50 cases of doping in Turkey. We told the Turkish federation that they needed to interview every athlete and find out the source. They did exactly that and ended up banning nine coaches. We need the support of athletes to give more information surrounding their doping offence and the support of federations to apply sanctions when justified. What power does the IAAF have to go into countries and improve matters? Do you have the power to exclude a country? We are educating athletes so they can speak to us. We can refer cases to CAS if a federation does not act upon reliable information sent to them. We can also ask WADA or the local national anti-doping agency for support. If there is sufficient evidence of a coach, we can oblige a federation to investigate and rule on the case. If we don’t agree with the federation, we can appeal to CAS. Will the IAAF appeal the recent decisions rendered by RUSADA against seven elite Russian athletes? The IAAF will carefully review these decisions within the next two to three weeks and then decide whether IAAF rules were correctly applied for each case. While the selective disqualification of results may be accepted under the new IAAF rules (and the WADA Code), we will have a close look at each profile and decide, upon consulting our scientific and legal experts, whether the decisions should be appealed and on what ground. Is there a timeline on the investigation of the Russian doping system being completed? WADA is currently investigating the whole system of Russian sport. They are looking into lab testing, officers, the ministry of sport and it is expected to be completed by the end of 2015. The IAAF is purely tackling the problem of doping in athletics. We have a duty to pursue the alleged doping in the documentary but we have to be respectful of the WADA process. Could the length of the disciplinary procedures be reduced? Yes, for cases involving urine samples, we are working at reducing the length of the proceedings and we amended our rules recently. 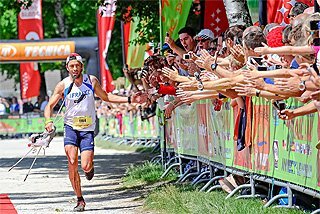 We believe that the conclusion of a straight-forward doping case should not take more than three to four months. 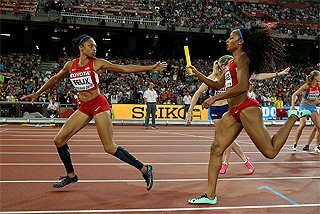 Our role at the IAAF is to gather and analyse evidence during an ‘instruction phase’ and pass that on to the federation for adjudication. However, passport cases take longer than a straight-forward urine test. It requires several stages, including consultation with a panel of experts, allowing the athlete to give an explanation and giving them time to consult with their own panel of experts. It’s a very long process from day one to the final conclusion. It’s frustrating from everyone’s point of view, but we believe it is a fair process. Were some of these positives – for example, Liliya Shobukohova’s – going to come out had it not been for the TV documentary? We were after Ms Shobukhova for a while, even before starting the passport. We tested her, we built up a profile; not WADA, not the Russians, we did. We targeted her at competitions. We sent a profile to our expert panel and they unanimously decided there was a case to answer, so we sent it to the Russian Federation for adjudication and we now appealed the two-year sanction to CAS because we believe that an increased sanction should be applied in her case. There was never a cover-up of this case. It's a transparent process. Regarding the other allegations, this is being investigated independently by the IAAF Ethics Commission. 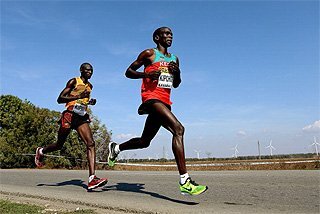 We have also entered into a partnership with the World Marathon Majors for enhanced testing of elite marathon runners. Is there a definitive percentage of number of times IAAF followed up target testing following suspicious blood samples and did they have the resource? We started testing blood samples in 1993 and were the first federation to test. In 2001 we started doing blood testing on a wider scale. EPO testing came about in 2000 through blood and urine tests which provided vast data. We conducted about 8000 blood tests from 2001 to 2009. During this period, the blood testing identifies individuals with atypical profiles. This is not in itself evidence of doping, but only an indication to assist us in fine-tuning our testing programme. We have used the blood tests to gather and create intelligence testing. We tailor testing programmes to individual athletes. Regarding specific individuals, we have never been given a list, nor has WADA, despite having requested it, so we can’t respond to this list. We hope to be able to have a fair chance to respond to the allegations with respect to that list. Did you have sufficient resources to test when you first created biological passports? Yes we had the resources at the time and we actually conducted proper follow-up testing. However, we were limited by the limits of the science (narrow detection windows for substances like EPO) and by logistical constraints (conducting no-advance-notice out-of-competition tests in remote places in Africa). 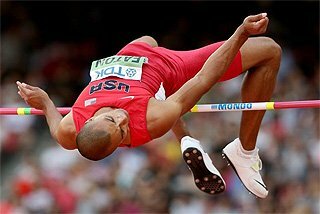 This situation created a lot of frustration but allowed us to target specific athletes when we officially launched the Athlete Biological Passport in athletics in 2009. This is partly why the IAAF has, to date, sanctioned more athletes than all other anti-doping organisations put together. Is Russian race walking coach Viktor Chegin under investigation? Yes. We have a procedure to follow, but the case is being investigated. We need to find evidence to support the data and if the federation does not act, we can provisionally suspend a coach. But we have to be respectful of the WADA process as Chegin may be part of the overall investigations in Russia. L'IAAF, qui, historiquement, a toujours montré la voie à suivre en matière de lutte contre le dopage dans le monde du sport, a organisé, lundi (16), une conférence téléphonique portant sur les aspects médicaux et antidopage avec la presse internationale. Cette conférence avait pour objectif de contribuer à une meilleure compréhension du travail de pointe accompli par l'IAAF dans ce domaine complexe, spécialisé, souvent abscons. Des questions ont ainsi pu être adressées au responsable du Programme antidopage de l'IAAF, Thomas Capdevielle, et à son responsable médical, le docteur Pierre-Yves Garnier, les deux membres les plus seniors du département médical et antidopage, qui, à eux deux, offrent des décennies de connaissances spécialisées et d'expérience. Parmi d'autres initiatives récentes de l'IAAF, on peut rappeler qu'elle a été la première fédération sportive internationale à lancer une application antidopage ou encore à produire un film vidéo portant sur l'antidopage de manière générale. Ci-dessous, un résumé des sujets abordés lors de cette conférence téléphonique. Est-il envisageable que nous en arrivions à ce que la Fédération d'athlétisme russe soit suspendue? Il existe à présent des allégations avancées par le documentaire télévisé, et nous les étudions avec soin, mais on ne saurait arriver à des conclusions trop hâtives. Notre mission est de protéger les athlètes propres, et ce n'est pas actuellement le bon moment pour s'attacher à suspendre une fédération. S'il y a des problèmes concernant des athlètes, des entraîneurs ou du personnel administratif, il nous appartient de les identifier. Nous travaillons en ce sens, en coordination avec l'AMA et avec notre Commission d'éthique. Il est de notre devoir de suivre et d'enquêter sur les cas individuels, et de transmettre nos rapports résultants au Conseil de l'IAAF pour le suivi au niveau institutionnel. Doit-on s'attendre à d'autres cas de suspensions d'entraîneurs? Les instances de dopage forment rarement des cas isolés. Très souvent, un ou deux entraîneurs y sont mêlés, sous la forme de filières de dopage, qui peuvent être plus ou moins étendues. Le nouveau Code de l'AMA prévoit désormais une obligation d'enquêter sur tout entraîneur travaillant avec plus de deux athlètes impliqués dans une affaire de dopage. À titre d'exemple, lorsque près d'une cinquantaine de cas de dopage ont été révélés en Turquie, nous avons expliqué aux représentants de la Fédération turque qu'il leur fallait s'entretenir avec chaque athlète pour en identifier la ou les source(s). C'est exactement ce qu'ils ont fait, et cela s'est soldé par la suspension de neuf entraîneurs. Nous avons besoin du soutien des athlètes pour fournir plus d'informations liées à leurs infractions au Code antidopage, mais aussi de celui des différentes fédérations concernées pour appliquer les sanctions requises lorsque cela est justifié. 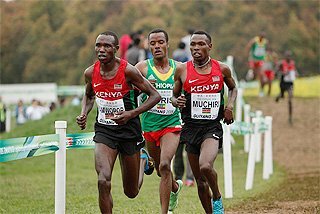 Quels sont les pouvoirs de l'IAAF quant à la possibilité de se rendre dans un pays pour y améliorer la situation? Avez-vous le pouvoir d'exclure un pays? 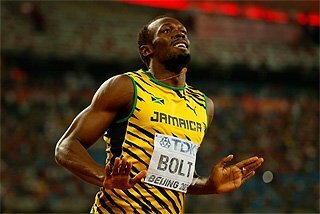 Nous éduquons les athlètes afin qu'ils puissent nous parler. Nous pouvons référer des cas devant le TAS si une fédération n'agit pas à la suite d'informations fiables qui lui auraient été envoyées. Nous pouvons également demander leur soutien à l'AMA ou à l'agence antidopage nationale du pays concerné. En outre, s'il existe suffisamment de preuves à l'encontre d'un entraîneur, nous pouvons obliger une fédération à ouvrir une enquête et statuer sur le cas. Et si nous ne sommes pas en accord avec la fédération, nous pouvons porter un appel devant le TAS. L'IAAF va-t-elle faire appel des décisions récentes rendues par la RUSADA contre sept athlètes russes de haut niveau? L'IAAF va examiner ces décisions avec soin au cours des deux à trois semaines à venir, avant de décider si les règles de l'IAAF ont été appliquées correctement dans chacun des cas. Si la disqualification sélective de résultats est acceptable sous le nouveau Règlement de l'IAAF (et sous le Code de l'AMA), nous allons pour autant étudier de très près chacun des profils et décider, en consultation avec nos experts scientifiques et légaux, si nous devrions faire appel des décisions, et, dans l'affirmative, sur quelles bases. Existe-t-il une date limite à laquelle l'enquête sur le système de dopage russe doit avoir été complétée? L'AMA enquête actuellement sur l'intégralité du système du sport russe. Elle examine les contrôles en laboratoire, les délégués, le ministère des sports, et on attend que les résultats de cette enquête soient disponibles pour la fin 2015. L'IAAF s'attaque, pour sa part, simplement au problème du dopage dans l'athlétisme. Nous avons le devoir de nous pencher sur les allégations de cas de dopage prononcées dans le documentaire, mais devons prendre soin de respecter le processus de l'AMA. La longueur des procédures disciplinaires pourrait-elle être écourtée? Oui, certainement: pour les cas où des échantillons urinaires sont impliqués, nous travaillons à réduire la longueur des procédures, et nous avons récemment modifié nos règles en ce sens. Pour nous, arriver à la conclusion d'un cas de dopage simple ne devrait pas excéder trois ou quatre mois. 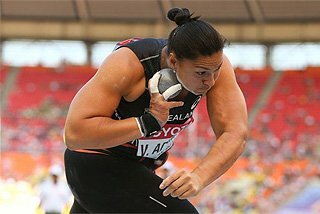 Notre rôle à l'IAAF est de rassembler et analyser les preuves au cours d'une "phase d'instruction" et de transmettre ces éléments à la fédération concernée pour qu'elle statue en conséquence. Toutefois, les cas de Passeport biologique de l'athlète (PBA) demandent plus de temps qu'un simple contrôle urinaire. Les cas de PBA exigent en effet plusieurs étapes, dont une consultation avec un panel d'experts, qui donne l'opportunité à l'athlète de s'expliquer. De plus, le sportif doit avoir le temps de consulter son propre panneau d'experts. C'est un processus très long, de son point de départ jusqu'à sa conclusion. C'est certainement frustrant pour tout le monde, mais nous pensons que c'est un processus équitable. Est-ce que certains cas positifs – par exemple celui de Liliya Shobukhova – auraient été découverts sans le documentaire télévisé? Cela faisait quelque temps que nous étions après Liliya Shobukhova - avant même d'avoir établi son passeport. Nous l'avions contrôlée, et établi son profil. Et ça, ce n'est ni l'AMA, ni les Russes qui l'ont fait, mais nous. Nous l'avons ciblée lors de compétitions. Nous avons envoyé un profil à notre panneau d'experts, et les membres ont décidé à l'unanimité qu'il y avait matière à litige. Nous avons donc fait parvenir son dossier à la Fédération russe pour qu'elle statue à son propos. A présent nous avons fait appel auprès du TAS de la sanction de deux ans qui a été imposée, parce que nous pensons que son cas mérite une sanction plus lourde. Il n'y a jamais eu aucune forme de dissimulation dans ce dossier. Le processus est transparent. 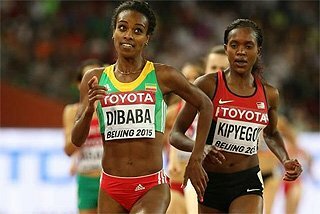 Concernant les autres allégations, elles sont sujettes à une enquête indépendante menée par la Commission d'éthique de l'IAAF. 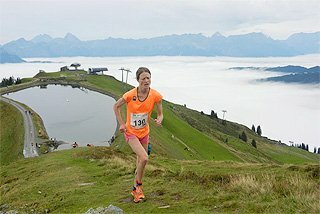 Nous avons également conclu un partenariat avec l'organisation des World Marathon Majors, [représentant des plus grands marathons mondiaux], dans le but d'introduire des contrôles plus poussés des marathoniens et marathoniennes d'élite. 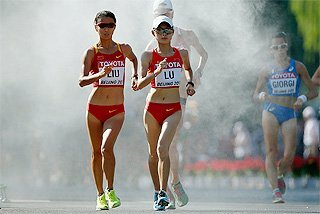 L'IAAF a-t-elle défini un pourcentage déterminé de fois qu'elle instaurera des contrôles ciblés suite à l'identification d'échantillons sanguins suspects, et est-ce que les ressources requises sont en place? Nous avons commencé à contrôler les échantillons sanguins en 1993, et étions alors la première fédération à le faire. En 2001 nous avons commencé à mettre en place des contrôles sanguins à une échelle plus étendue. Les contrôles d'EPO ont été introduits en 2000 au travers de contrôles sanguins et urinaires, ce qui a donné lieu à la création d'un grand nombre de données consultables. Nous avons effectué environ 8000 contrôles sanguins entre 2001 et 2009. Au cours de cette période, les contrôles sanguins identifiaient les individus aux profils atypiques. Cela n'est pas en soi une preuve de dopage, mais simplement une indication nous permettant d'ajuster notre programme de contrôles. Nous nous sommes appuyés sur les contrôles sanguins pour assembler et créer des contrôles intelligents. Nous pouvons ainsi concevoir des programmes de contrôle conçus sur mesure pour les athlètes individuels. Pour ce qui est d'individus spécifiques, on ne nous a jamais – ni à nous, ni à l'AMA - remis la liste de noms évoquée, et ce bien que nous l'ayons réclamée. Nous sommes donc dans l'impossibilité de réagir par rapport à une telle liste pour l'heure, mais espérons bien avoir l'occasion de pouvoir réagir, en toute équité, aux allégations qui y sont liées. Possédiez-vous bien les ressources suffisantes requises pour les contrôles lorsque vous avez créé les Passeports biologiques? Oui, nous avions les ressources requises à ce moment-là, et nous avons effectué les contrôles de suivi. Nos limites étaient toutefois déterminées par celles de la science (par exemple des fenêtres de détection étroites pour des substances telles que l'EPO) et par des contraintes logistiques (concernant notamment les possibilités de contrôles hors-compétition inopinés dans des endroits tels que l'Afrique). 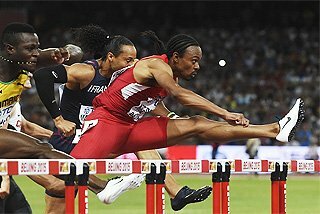 Cette situation a donné lieu à beaucoup de frustrations, mais nous a permis de cibler certains individus spécifiques lorsque nous avons lancé le Passeport biologique pour l'athlétisme, en 2009. C'est en partie là que se trouve la raison pour laquelle, à date, l'IAAF a sanctionné plus d'athlètes que toutes les autres organisations antidopage rassemblées. L'entraîneur de marche russe Viktor Chegin est-il toujours sous investigation? Oui. Nous devons suivre la procédure obligatoire, mais le cas est sous investigation. Il nous faut trouver les preuves pour soutenir les données connues, et si la fédération n'agit pas, nous pouvons suspendre un entraîneur à titre provisoire. Mais nous devons respecter le processus de l'AMA, car il se peut que Chegin soit sujet des enquêtes globales actuellement menées en Russie.